Want to win one of these emergency kits? Enter today! Hazardous weather, natural disasters and other emergencies are nothing to sneer at, as this year has proven. Within the last year, the St. Louis area alone has seen tornadoes, ice storms, floods, severe thunderstorms and earthquakes. To protect yourself and your family, now is the time to think about your plan of action in case of an emergency. 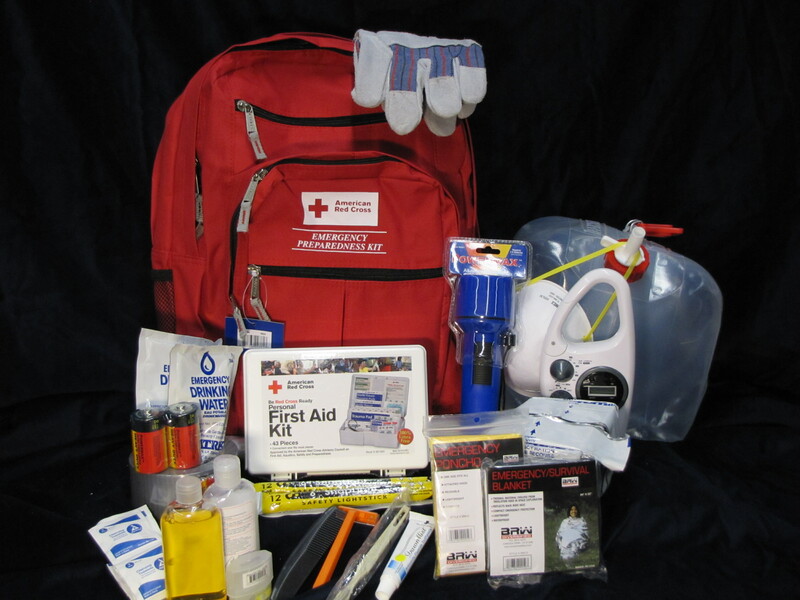 Want to win one of these great kits from the American Red Cross? Metro riders can register to win one of four Red Cross Emergency Preparedness Kits to be given away during the month of September. Limit one entry per person. Register online or by mailing the entry form to Metro, 707 N. 1st Street, Mailstop #146, St. Louis, MO 63102. September 1 from 6 to 8 a.m. emergency preparedness information will be distributed at the following MetroLink and MetroBus locations: Central West End, Civic Center, North Hanley, and Fairview Heights. From 2 to 5 p.m., information will be offered at Central West End, and the Riverview Hall MetroBus Transfer Center. September 12 from 6 to 8 a.m. volunteers will be at the Clayton and Forest Park/DeBaliviere MetroLink Station and MetroBus locations. September 19 from 6 to 8 a.m. customers will receive emergency preparedness information at the Emerson Park and Shrewsbury MetroLink and MetroBus locations. The drawings will occur on 9/9/11, 9/16/11, 9/23/11, and 9/30/11. The weekly winner will be notified by phone or e-mail. I am trying to get this message to whomever places your advertising and any help in targeting this to the right person would be much appreciated. I wanted to know if you have considered advertising on billboards? My name is Terell Butler, and I work in the Saint Louis area for OUTFRONT Media formally CBS Outdoor selling billboard advertising. It is a powerful advertising medium that is out there working for you all day, every day unlike radio, direct mail, and newspapers. Billboards are the least expensive cost per exposure form of any media, and many advertisers who are currently using other forms of advertising are often shocked at the low cost of advertising outdoors. We have a number of strong billboards throughout the St. Louis area that would target your services very well. If you are interested in giving billboards a try, we help you design your ads at no additional cost. Good, simple creative is the key to making billboards work and getting your message out. Please let me know if it would be possible to set up a brief meeting with your marketing director, or at least email a simple proposal of what we can offer. I appreciate your time and look forward to hearing from you. **** In addition I have attached a media kit outlining our products and services, I look forward to working with you! Terell, call 314-982-1400 and ask for a respresntative in our marketing department. They should be able to help you.